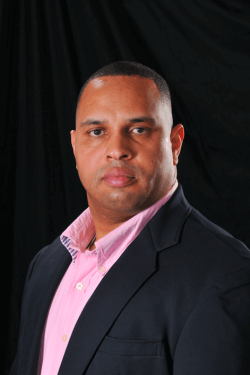 Matt Leatherwood is a former United States Marine and two-time self-published author. 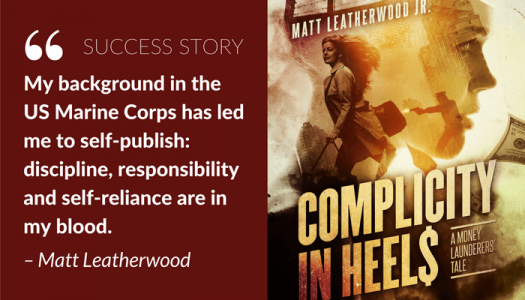 In this guest post, Matt shares how his experience in the Marine Corps inspired him to self-publish novels, and how returning to the publishing industry after more than a decade-long hiatus has shaped him as an author. 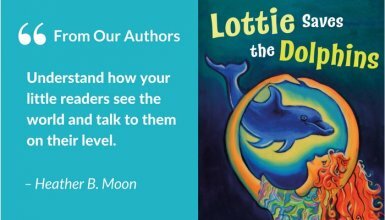 Growing up, I recognized I had a unique ability to capture people’s imaginations through the written word. Teachers in middle school and high school called it a “gift.” I just thought of it as a way to pass the time during boring classes. Once the bell rung, I couldn’t wait to share my latest creation with others. Mr. Bennett, my science teacher, recognized my talent and began reading my work out loud during study halls. For years, I was content with scribbling stuff down on paper, passing it around and getting a reaction. This habit followed me through high school, into college and eventually the Marines. I never wanted to be a writer. That changed on January 13th, 2003, the day my battalion commander stood before me and announced that the Secretary of Defense, acting on orders from the president, had issued our unit a deployment order for the Middle East. My initial thought was, “I’m going to war, and I’m gonna die.” My next thought was about how I had squandered my writing talent. A majority of my fellow Marines were disturbed by the news. The last time the United States deployed for an armed conflict on a mass scale was slightly over a decade ago (1991). Fear of the unknown was rampant whether anybody wanted to admit it or not. I resolved at that moment to keep a day-to-day journal of things as they unfolded on the ground. This journal tracked my movements from the U.S. to Kuwait into Iraq and back again. My motivation for the journal was to provide my family with a written record of what was going on as I experienced it should I perish — my mother would be most comforted for an in-depth explanation beyond the generic “killed in action” touted by the military. I returned back to the U.S. on July 4th, 2003 and was honorably discharged several months later. I still had all the journals I had written but didn’t know what to do with them. It then dawned on me to turn them into a book that my family and others could read to understand the plight of the combat soldier. 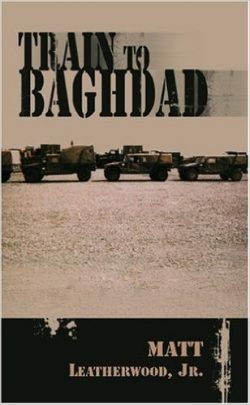 Those journals became Train to Baghdad, my first book. I had officially become a writer through extenuating circumstances. I can honestly say, if I had never gone to war, I would’ve never taken up writing. So, it is my contention that I was “drafted” into writing. I worked daily for eight months, shaping my journals into the book "Train to Baghdad". Because the war was still being fought and I did not obtain clearance from the Department of Defense, I was forced into writing the book as a fictional memoir. The day I finished the manuscript and was ready to go to print, another highly-anticipated book from the same war story genre was released as well. I knew a lot of my book’s success would depend on getting to market fast — and that the other book's release, with 100 percent media backing, had cornered the market. 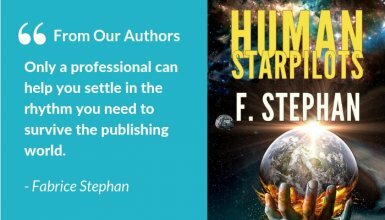 I was discouraged and considered not publishing. Then I switched gears and refocused on the men I had served with and their families — and I was able to move forward. I made the decision to publish the book anyway, if only as a keepsake for my mother and those men. I used the extra money I had earned in the desert (combat pay) to finance and self-publish the project. At the time, there were only three self-publishing companies around (iUniverse, Xlibris, and Trafford). I picked one and published the book. Because I didn’t do my due diligence, I made all the rookie mistakes. Back then, everything was grouped into packages with very few, if any, à la carte options. The publisher dictated everything. "Here's your editor,” “these are your manuscript changes,” “look at this proof,” and so on. As a novice writer, I didn't know any better and went along with it. The experience was so negative that I walked away from the craft of writing believing that I had failed. On my return to the discipline, the Iraq war had run its course, and the bookstores were lined with war memoirs. Everybody who was anybody was telling their story. It was at that moment I realized that to be successful at this craft, I had to transition into fiction. Branching out beyond the, “he went to war, here’s his story” theme was mandatory. "I wanted to challenge myself to write beyond 'he went to war, here’s his story.'" I chose to write in the crime thriller genre because of its wide latitude from which to work. Every day, the evening news percolates with new story ideas. Yesterday, it was a real estate agent misappropriating the use of homes placed on the market to carry out his personal sexual exploits. Today, it’s thieves stealing pallets of baby formula for resale on the black market — who knows what tomorrow may bring. With criminal activity always evolving, there is no shortage of ideas from which to draw and develop an engaging story. Working with Reedsy editor, Angela Brown was a joy. I followed her editorial letter religiously as I revised the manuscript of "Complicity in Heels". There were times when I realized my story had more holes than a slice of Swiss cheese. She brought up points I had never even considered when constructing my story. I found myself often asking, "How could I have missed that?" She pushed me past my comfort zone as a writer. Despite my initial, challenging experience with self-publishing, the decision to self-publish my second book was quite easy. The choice felt right because of how it coincided with my Marine background. Self-reliance, discipline, and responsibility are in my blood. 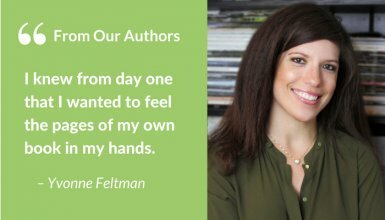 I thrive on challenge and adversity, both of which are involved when you self-publish. 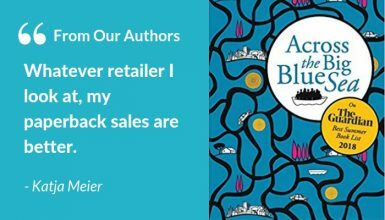 "I thrive on challenge and adversity, both of which are involved in self-publishing." 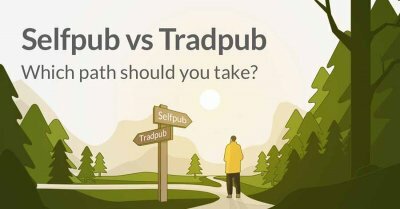 For others, the traditional publishing route provides security and industry validation. However, both avenues come with a laundry list of pros and cons, so anybody just starting out would be best served to do their due diligence. Contrary to popular belief, there is a lot of dead time during a war. I too held this misconception of nonstop action, until I found myself in a combat zone — I thought it would be constant engagement with the enemy. After all, that’s what all the movies show: firefight after firefight. Not so. There are long stretches of action-less time, depending on where you are on the battlefield. Books and mail from loved ones at home are much-desired staples that get you through those times. Often, you don’t know where you are, how long you’re going to be there, or what tomorrow looks like. Orson Scott Card’s Ender’s Game series got me through those doldrums. I kept a fresh copy of his paperback in the cargo pocket of my uniform and toted that book wherever I went. On the battlefield, books and letters are lifelines. Back home, writing has given me a new path and self-publishing has allowed me to open a new chapter in life. "Complicity in Heels" is available on Amazon for Kindle and paperback. Find out more on Matt’s website! 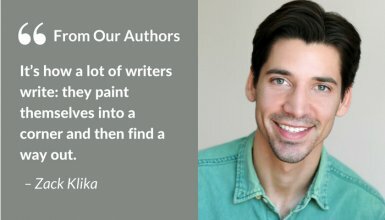 What has inspired you to be a writer? 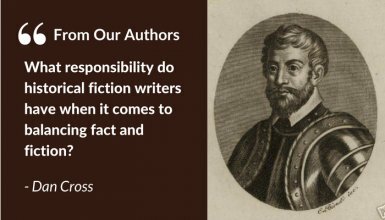 How has self-publishing influenced you as an author? Leave your thoughts, experiences, or any questions for Matt in the comments below.